The one's in the pink can. Lightly smoked in olive oil. I believe Philippe mentioned smoked sardines were good for aging. I thought these might be a good candidate, but after reading A23's thoughts on the matter, and the fact that the pantry is crowded with tins right now, I changed my mind. 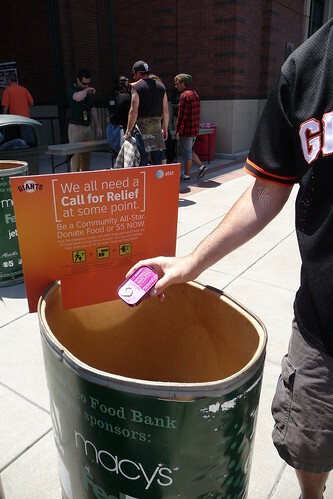 Donated to SF Food Bank. Someone, somewhere, will be stoked, in a "Two-Buck-Chuck way". My wife bought me some of those Trader Joes magenta cans and some TJs boneless & skinless cans as well. Both were awful for different reasons. The boneless & skinless ones were like eating olive oil soup. The fish were drenched through and had no firmness. Question for you experts: Does aging sardines a few years change the texture and firmness of the fish? Or does it simply improve the flavor?